We are pleased to announce that The FREE Dreams and Visions Interpretation Course just got a whole lot easier and a lot more effective. We have compiled a very effective dreams and visions symbols training manual. Whilst the Dreams and Visions Dictionary is focused on the theoretical aspects of dreams and visions symbols and the interpretation of such symbols, the Dreams and Visions Interpretation Course Manual is a lot more focused on the practical aspects of interpretation. It is a step by step practical guide with the aim to teach people how to put the theoretical knowledge into practice. It can also be used alongside the Dictionary for training purposes like informal or formal Dreams and Visions Interpretation Courses and Equipping sessions. As from the end of March, the “Dreams and Visions Interpretation Course Manual” will be included FREE of charge upon the sale of the Dreams and Visions Symbols Dictionary. It is basically two books for the price of one. This manual is not for sale and will not be available to the public. 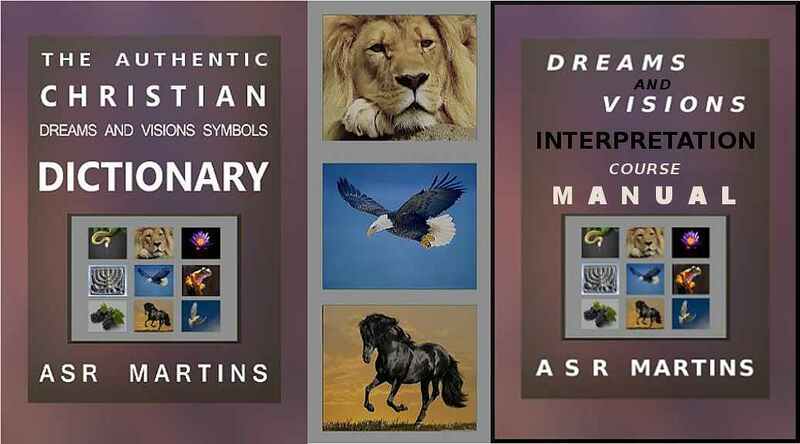 It is a FREE add-on and it is only available to all Dreams and Visions Symbols Dictionary owners. The Manual was compiled to bridge the gap between the theoretical knowledge and the practical application of the meanings of symbols in the context that it was received in a dream or a vision. People often understand and realize the meanings of symbols but they struggle to bring it into context and they struggle to apply the meanings correctly. This manual will change all that. All existing dictionary owners do not have to buy this manual. As soon as it is released the download links will be generated and forwarded to all Dictionary owners.